STUNNING 3 BEDROOM 2 BATH IN FOX RIDGE! CORNER LOT WITH SIDE 2 CAR GARAGE! ALL NEW INTERIOR PAINT, NEW LIGHT FIXTURES, NEW FLOORING THROUGHOUT, NO CARPET IN THIS HOUSE! OPEN CONCEPT PLAN, VAULTED CEILING AND FIREPLACE IN THE FAMILY/LIVING ROOM. EAT IN KITCHEN WITH LARGE DINING ROOM, NEW APPLIANCES, PLUS LOTS OF CABINETS , COUNTER SPACE AND A PANTRY. 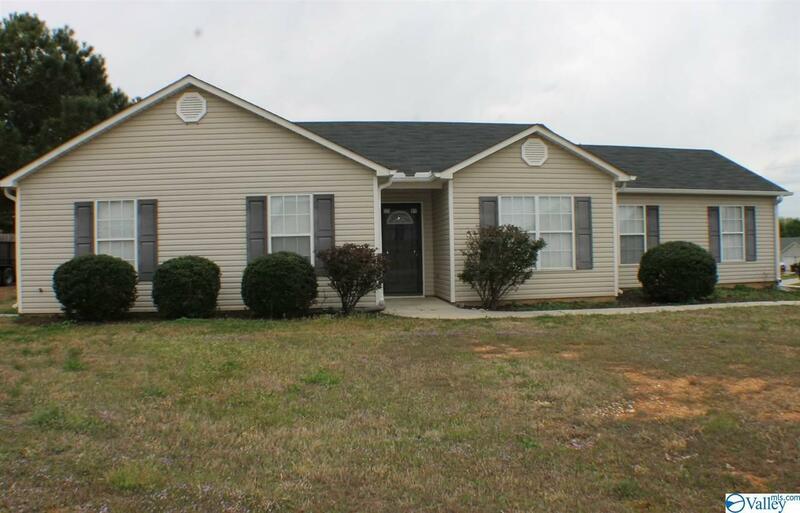 LARGE OWNERS RETREAT WITH A GREAT SIZED CLOSET, PRIVATE BATH & ACCESS TO BACK PATIO! 2 NICE GUESTROOMS WITH A SPACIOUS SHARED BATH. LAUNDRY AREA IS JUST OFF KITCHEN. DINING ROOM WOULD ALSO MAKE A GREAT OFFICE WITH DOORS THAT CAN BE CLOSED FOR PRIVACY. NEW CENTRAL UNIT JUST INSTALLED! THIS IS THE ONE YOU HAVE BEEN WAITING TO FIND!